Warning this article may contain irony. I have a confession to make. I am the product of a creative writing course. I went in one end an ingénue, and came out at the other with my precious oeuvre all polished and honed and ready to enter the publishing circus at a running pace. Obviously it gave me a head start among the sea of hopeful, wanna-be published novelists. My work would be a cut above the rest. And as you are reading this the fact that I have been so coached and tutored will no doubt be apparent. Cliché-ridden? Huh. That’s just me being ironic. I know about clichés so when I use them, I use them with panache, geddit? And I could also tell you that the above paragraph is a complete work of fiction. I’ve just creatively written something that has no grounding in truth or reality. I made it all up, see; except I didn’t. Apparently I am now qualified to play with form and style; I can use stream of consciousness or I can be lyrical and proper. I can write in the first person or third, I can use untagged dialogue, I can show rather than tell and I can use free indirect speech. I can write in an epistolary, framed fashion, in a linear style, or I can start at the end and finish at the beginning. I can throw the rules out of the window and create something entirely new and innovative. And I’ve also got a shrewd idea what Life Writing is despite the fact that many publishing professionals are a bit woolly about the concept. Well, that’s the theory behind my Diploma in Creative Writing, anyway. By rights, given that there is an explosion in creative writing courses at university level, there should also be an explosion in the amount of work which is fit for publication. And this may well be true. But ironically as the amount of students passing through the process proliferates, mainstream publishers have cut back savagely on new authors’ submissions, nervous of taking a risk with any work which isn’t going to guarantee them sales of at least 10,000 copies, and it seems that those books fall into the genre category of cookery, celebrity so-called ‘autobiography’ or fiction of the type that the majority of readers will know their way around. In the old days there used to be the mid-list where unknown talent was taken on and nurtured through a series of books into gaining a brand and a readership. But now the mid-list has gone, leaving space only for immediate best-sellers requiring a minimal amount of editing and a maximum amount of hype. So is there a vast, untapped ocean of newly-fledged talent out there, a mass of missed Hemingways and Plaths who have come out of their creative writing courses waving their distinctions in an ever-increasing flood of competition? So the million dollar question is can creative writing be taught at all? Are the universities simply using the opportunities provided by the self-publishing explosion as a cynical money-spinning ruse? ‘You’ll be needing to learn how to write, then.’ Can you learn? I asked Nicholas Royle the question. I don’t know if he’s in a unique position, but he is certainly well-placed to judge, given that he is not only a senior lecturer in creative writing at the Manchester Writing School at Manchester Metropolitan University, but he is also the acclaimed author of seven novels; an editor for Salt Publishers who worked on Alison Moore’s The Lighthouse, and he runs Nightjar Press, a publishing company specialising in original, literary short stories. So what if they can’t write. What then? Self-evidently the MA courses are rather different to those undertaken at undergraduate level, because they are selective. Only those showing a significant amount of talent will receive an offer of a place. I studied with the Open University which, by its very nature, is accessible to anyone, and as a result of which the aptitude for creative writing varied enormously. 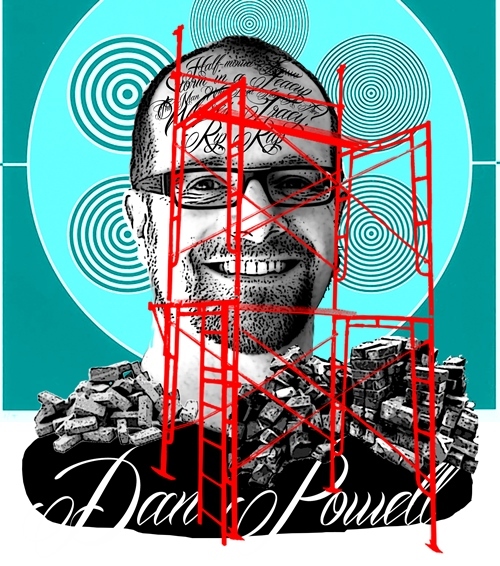 I was lucky enough to have Dan Powell as one of my contemporaries, who has since gone on to undertake an MA course, and – while working on his novel - is busy sweeping up awards for his short stories. Dan’s experience was very positive. “My writing did change during the process. It became cleaner, sparser, more urgent and direct. But the process didn’t end along with the course. I hope that anyone reading my work would see each subsequent piece as that little bit better than the last. That was the key thing I left the OU courses with, a desire to keep improving my work and a better understanding of my own writing process. Personally I agree with both Nicholas and Dan. You can’t teach talent, but you can teach craft, the mechanics of structure, and the ability to be a critical self-editor. And like Dan I find myself always wanting to cut, to kick out the adverbs, to understand that less means more. And just one more thing which maybe the most important thing of all: read. Read everything. Hope that you will absorb the good by some power of magical osmosis, and that when a book is bad, you will – because you know your craft – understand why. Enjoyed this thought provoking blog. Should creative writing be approached as a separate subject from the many literature modules available to OU students? This article echoes my own experience through 4 OU creative writing courses. I would put the greatest emphasis on the acquisition of the craft of writing and the knowledge of when to the disobey the rules. But best of all, I had a wonderful time, made lovely friends, and have just packed about a ton of poetry, memoir and fiction (some of it published) for our latest house move. Not to labour the obvious, but success and talent are two different issues. The foundation of any writing is grammar and use of language, both of which are sadly neglected these days. While I sympathise (yes, I'm opting not to use the -ize so annoyingly prompted by every spell-check refusing to acknowledge a perfectly good alternative) with the author, and agree that talent cannot be taught, we at Silver Pen believe you can plant a few signposts. (Edit that out if its too promotional). The market is being flooded with drivel, so it's hard not to end up like a beached jellyfish, whose last spiteful act is to sting someone who happens to tread on one's emaciated corpus - or opus for that matter. In short, yes - creative writing CAN be taught. It's a free-for-all after that. Quality is subjective, and the editors have to be quality themselves to appreciate it, so we're gradually going down the road of catering to the lowest common denominator: those challenged by adverbs, punctuation and sentences with more than one clause, who think "less is more" in literature only because that is the extent of their education.